Super Junior Hee chul to debut as cartoonist? 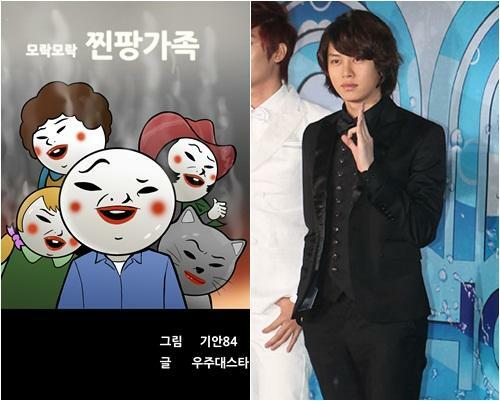 [by Joy Kim] Super Junior member Kim Hee chul made a special debut as webtoon cartoonist. web page. Already the webtoon is getting a good response from the online communities and fans. is \'Zzinpang\', which also represents Hee chul and his pet cat \'Hee bum\'. The cartoon will be uploaded for eight weeks, on every Thursday noon.